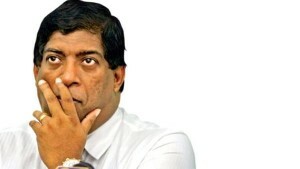 Rent free tenant turned owner of a penthouse, Ravi Karunanayake, had to break his New Year resolution of not being at a loss after admitting to being at a loss after just five days of 2018. “However, when I watched the President make the statement about the findings from the Bond Scandal report, despite my efforts I could not help but go back to my old habit of being at a perplexed. Having something unofficially to do with the members of the family that perpetrated the fraudulent activity does not mean I had something to do officially to do with the members of the family that perpetrated the fraudulent activity. Also it is claimed I lied in court, but lawyer lie all the time in court, so where is the justice?,” he added.